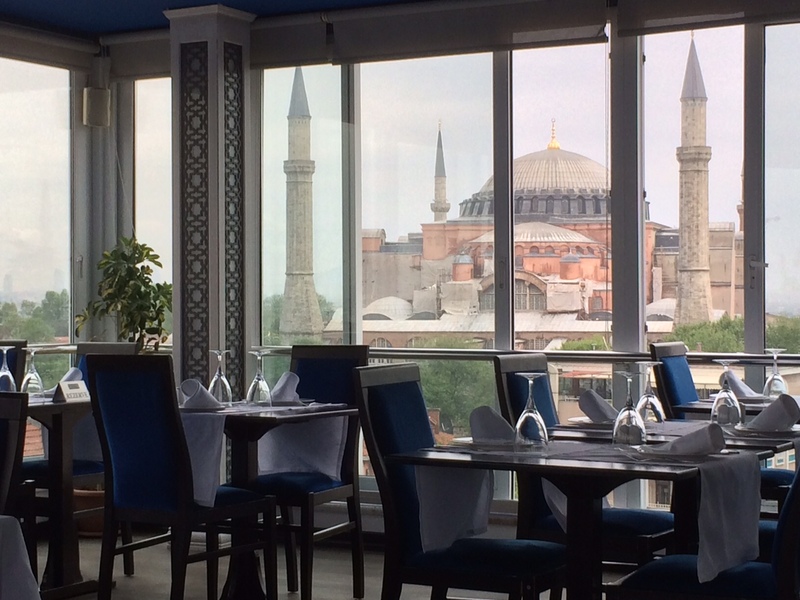 The Hagia Sophia Mosque from the rooftop terrace of the Adamar Hotel. Istanbul, Turkey. April 28, 2014. 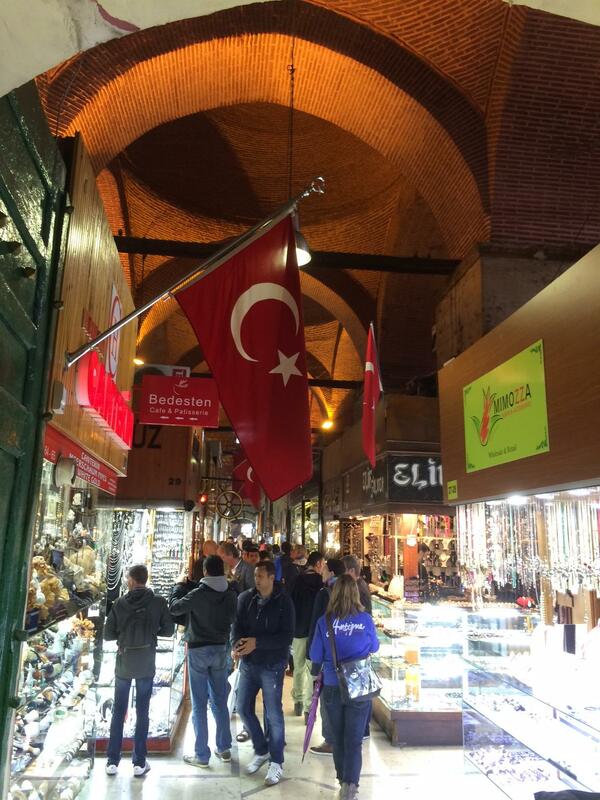 Our final day in the city began with one last visit to the Grand Bazaar. Tomorrow we fly back home. Istanbul, Turkey. April 28, 2014. 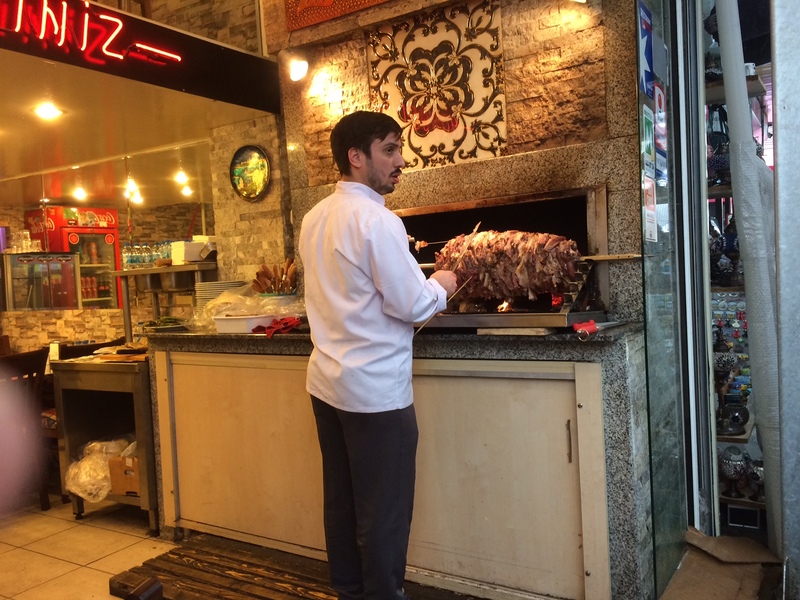 Carving lamb on a horizontal spit. Vertical spits are usually beef or chicken. 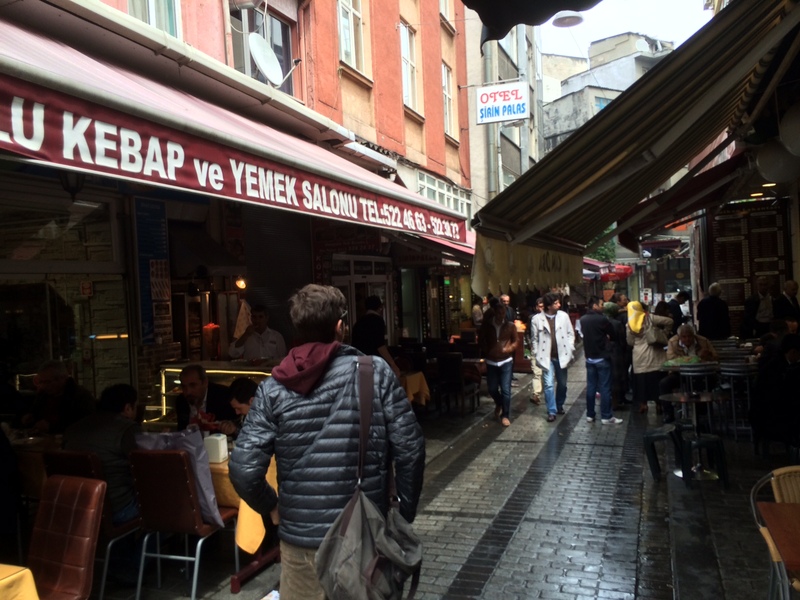 Either way it makes for a great Turkish lunch. Istanbul, Turkey. April 28, 2014. A tiny back street in the neighborhood of Sirecki. Istanbul, Turkey. April 28, 2014. 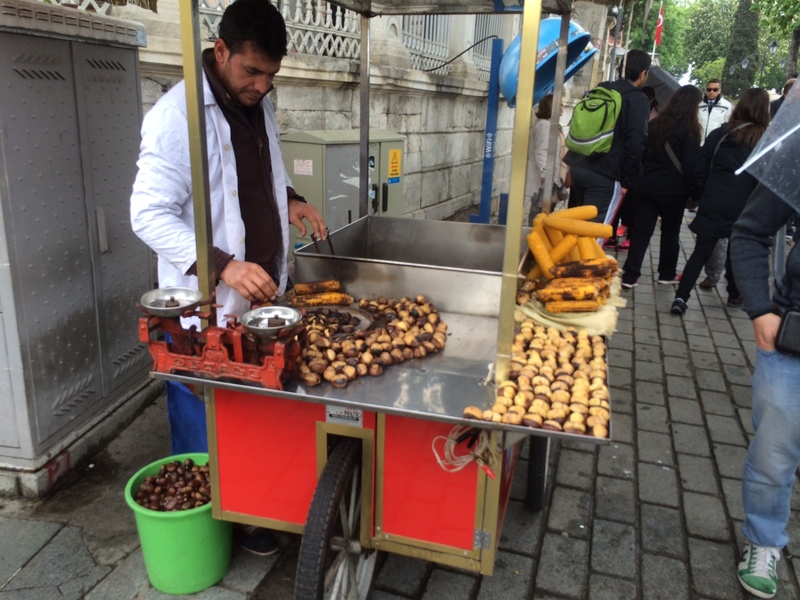 Roasting chestnuts and corn out on the street near the Sophia Mosque. Istanbul, Turkey. April 28, 2014. 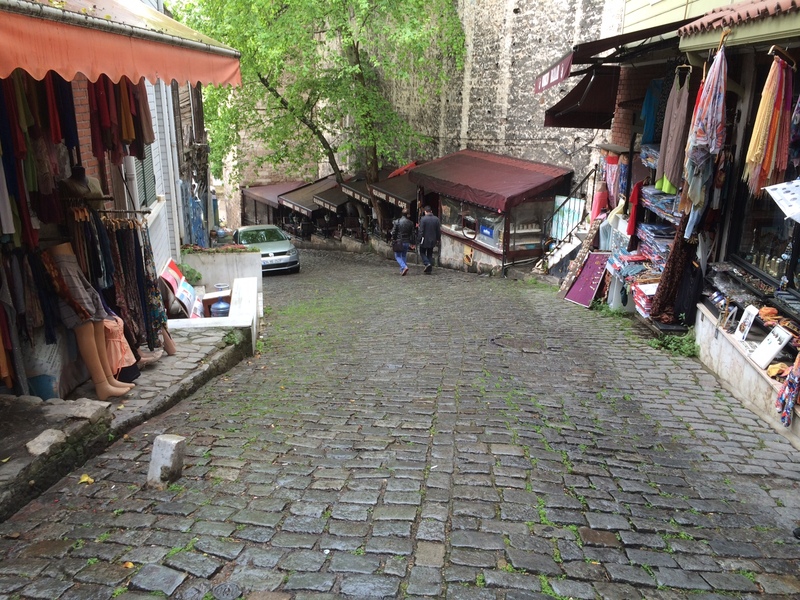 One of the narrow, winding, steep back lanes of the city. Istanbul, Turkey. April 28, 2014. 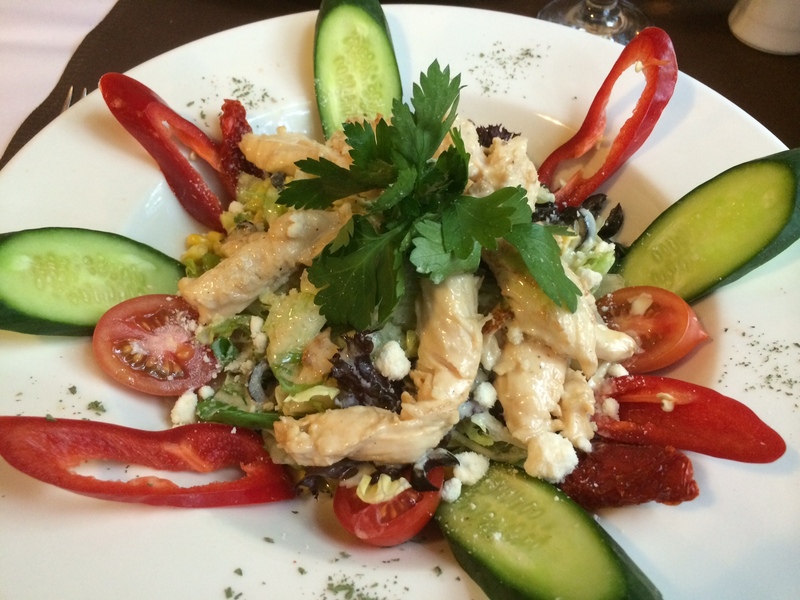 The day ends with another great meal, back at Le Safran. Istanbul, Turkey. April 28, 2014. 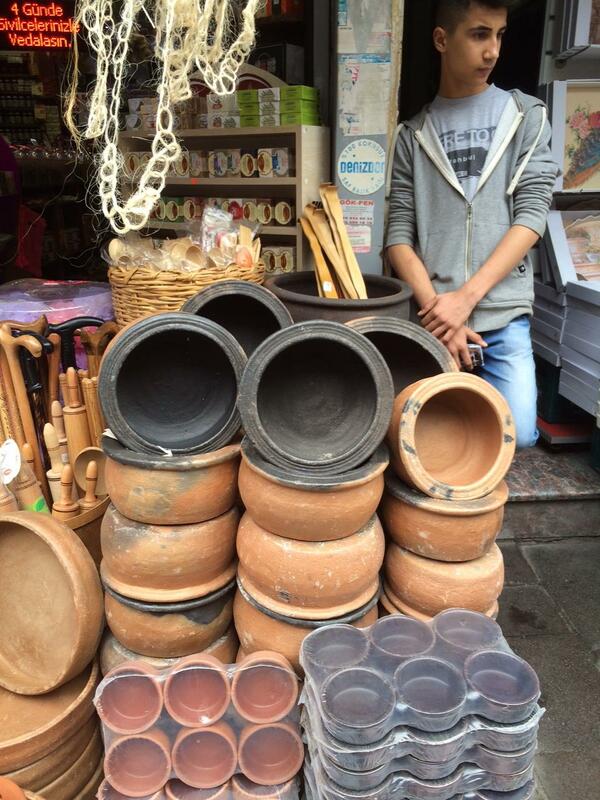 Terra-cotta pots at the village market in Uskudar. This area is far less crowded then main Istanbul. Istanbul, Turkey. April 27, 2014. 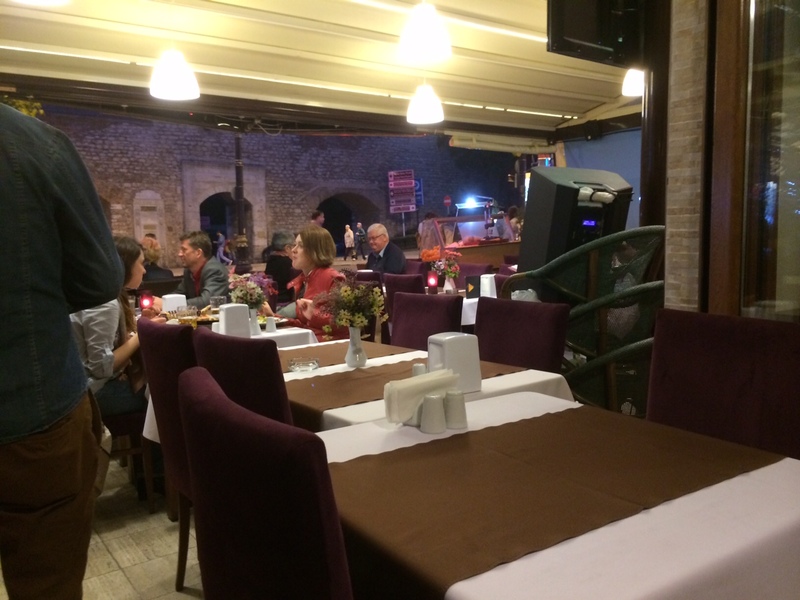 The day ends at Le Safran Restaurant. The old Byzantine city wall is in the back ground. Istanbul Turkey. April 27, 2014. 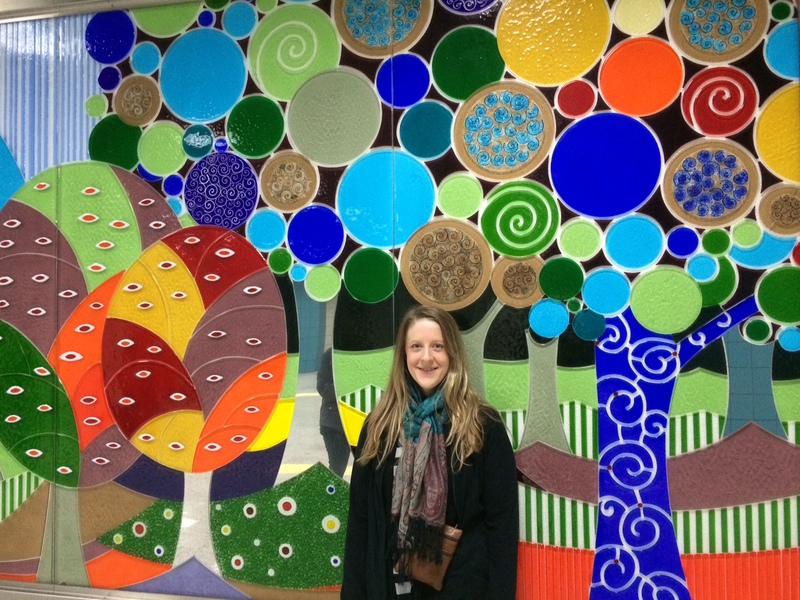 The day begins at the subway entrance in European Istanbul. In only four minutes we will be in the Asian part of Istanbul. Istanbul, Turkey. April 27, 2014.